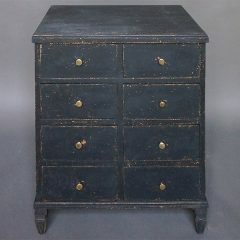 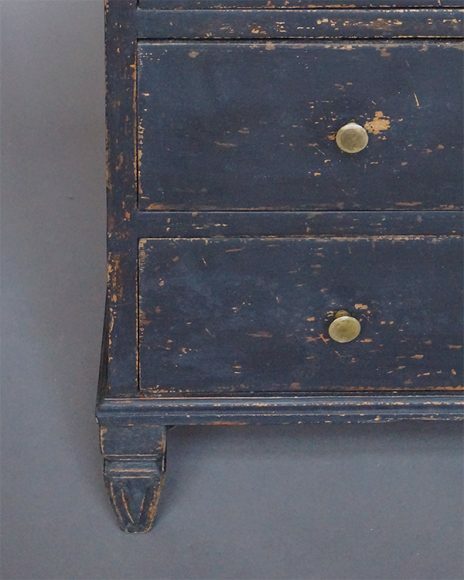 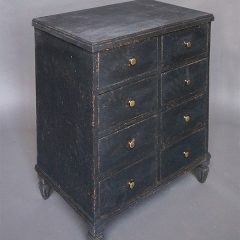 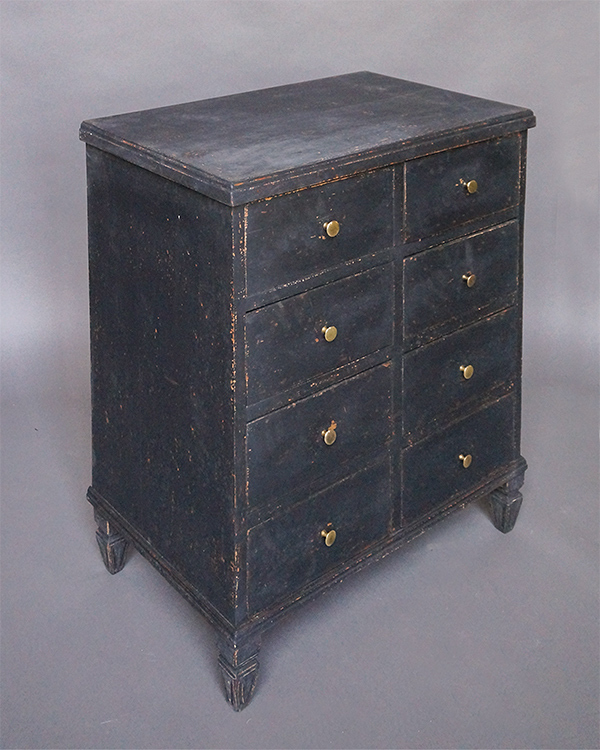 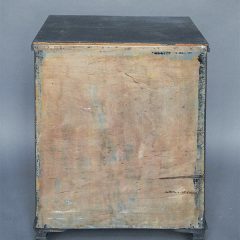 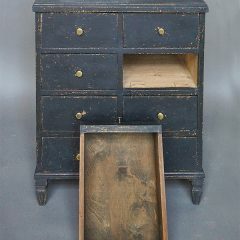 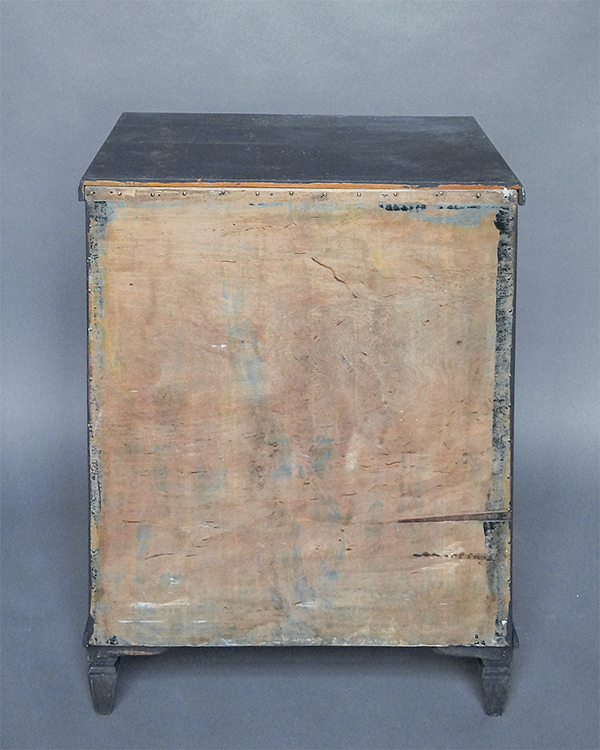 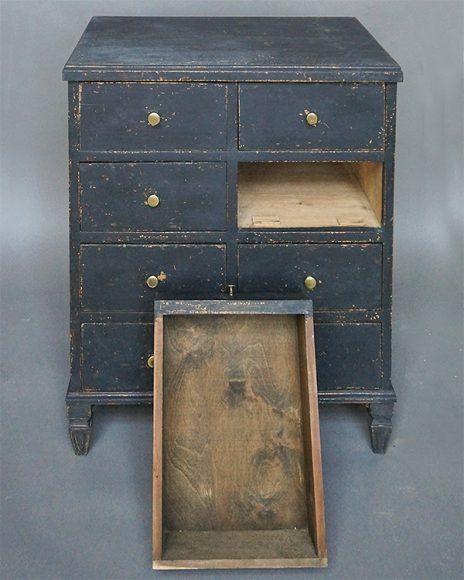 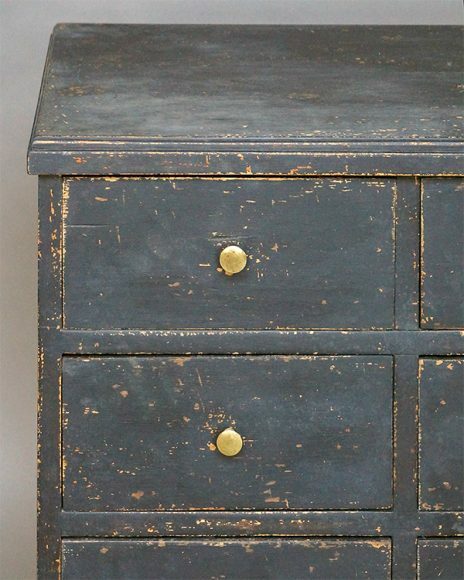 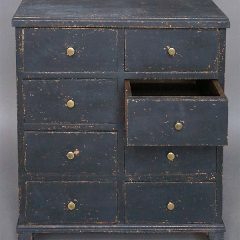 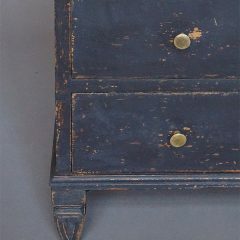 Rare chest of drawers, Sweden circa 1880, in black paint. 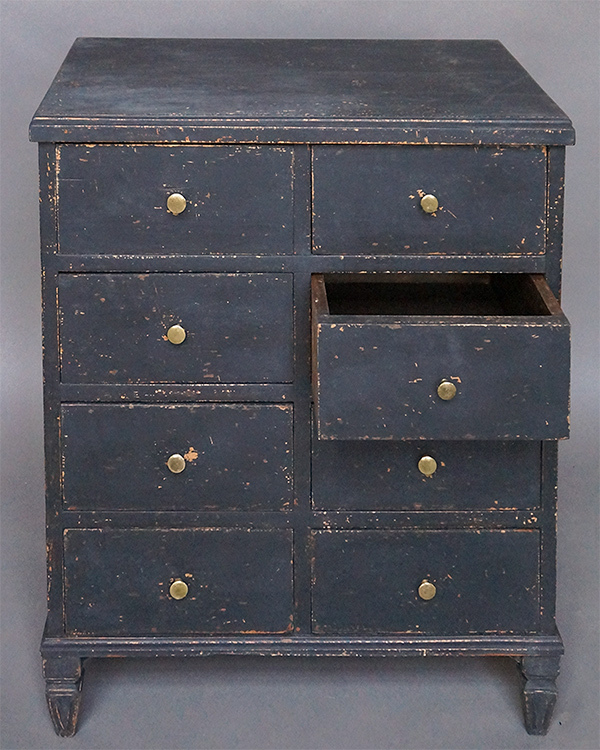 Eight half-width drawers in a simple case with tapered and reeded feet. 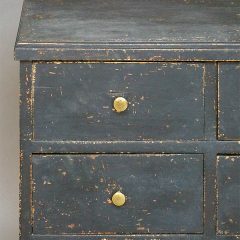 Brass pulls on each drawer.